James Geurts, assistant secretary of the Navy for research, development, and acquisition, announced the release while speaking at the WEST 2018 conference. The competition for the congressionally approved multi-year contract is limited to two vendors – General Dynamics – Bath Iron Works and Huntington Ingalls Industries. “I’m very confident they will be creative in the competitive process to give us really great options to build those ships,” Geurts said. The contract, which starts in fiscal year 2018 and runs through fiscal year 2022, continues the Flight III configuration and incorporates the more powerfulRaytheon-built AN/SPY6(V)1 Air and Missile Defense Radar into the design. “We’ve got a mature Flight III design now which is going to give us great increases in lethality on those ships,” Geurts said. This procurement will continue production of the DDG-51 class shipbuilding program, which so far has delivered 65 ships to the Navy. In December, Capt. 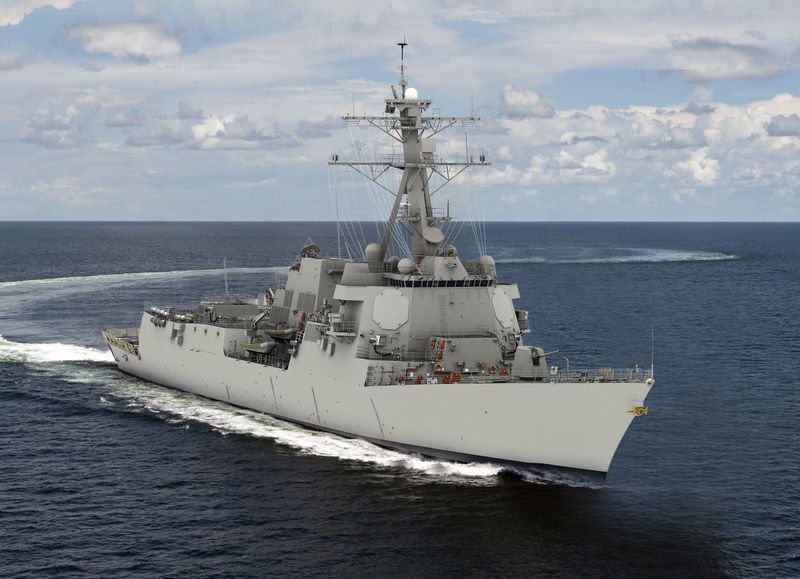 Casey Moton, program manager for the Arleigh Burke-class destroyer program, told USNI news the Flight III upgrade affected about 45 percent of the ship’s drawings zones. Most of 2017 was spent finalizing the designs for the Flight III upgrade, a process including creating 3D models. During his remarks at WEST 2018, Geurts called the new Flight III design process a great example of how the Navy can deliver lethal capacity while working to reduce production costs. The 3D modeling was a key component of this effort, and something he’s promoting for use throughout the department. When full ship designs use 3D modeling, Geurts said the enhanced designs help production teams speed up production and inspections of large projects by helping identify redundancies to eliminate and improve workflow management. Geurts said even something as simple sounding as drilling holes in steel plates can be sped up and made precise using this technology. “We’ve got to figure out how to get those kinds of technologies in so we can drive out the costs of these mega projects,” Geurts said.